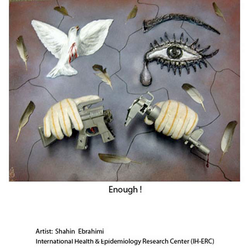 THE ANTI-VIOLENCE CAMPAIGN FOR PEACE is an ongoing project of the International Health & Epidemiology Research Center. It is a comprehensive violence prevention/intervention project that strives to eliminate mortality and morbidity in children and youth by influencing children's learned responses at an early age. The campaign educates and raises awareness about the hazards of guns, toy guns/weapons, violent video games, and violence among children, parents, and educators. This is accomplished in a variety of ways, including presentations, workshops, letter writing, influencing toy manufacturers and policy makers, petitions, billboards, public service announcements, media coverage, art exhibition (Replacing Violence with Art), and Anti-Violence Day/Peace Day Events. At these events, children turn in their toy guns/weapons, and instead, create a piece of art with the collected weapons. 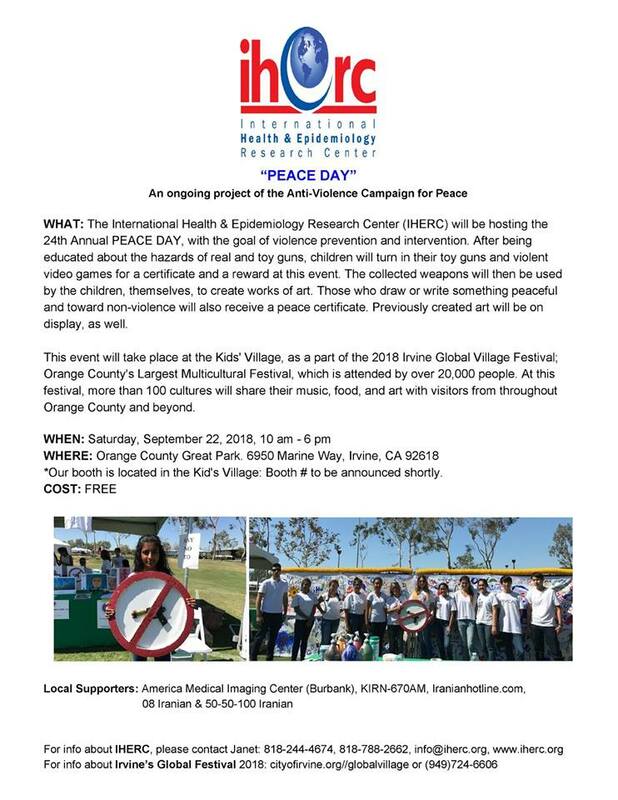 The ultimate goal of the ANTI-VIOLENCE CAMPAIGN FOR PEACE is to create a healthier, violence-free society and peaceful world for future generations in the truest sense.